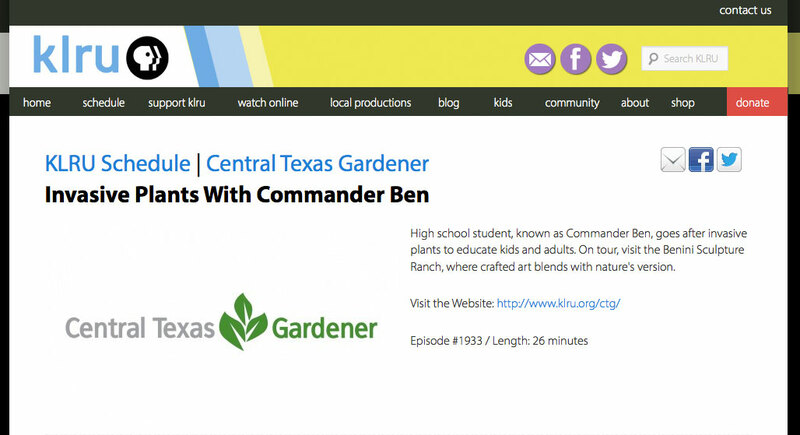 My invasive plant species interview with Central Texas Gardener aired today! Yea! If you didn’t get a chance to see today’s episode on KLRU, our local Austin PBS station, you can watch my segment with show host Mr. Tom Spencer in the YouTube video above. In my interview, I talk about how I got started with my work helping to educate kids of all ages about invasive species. 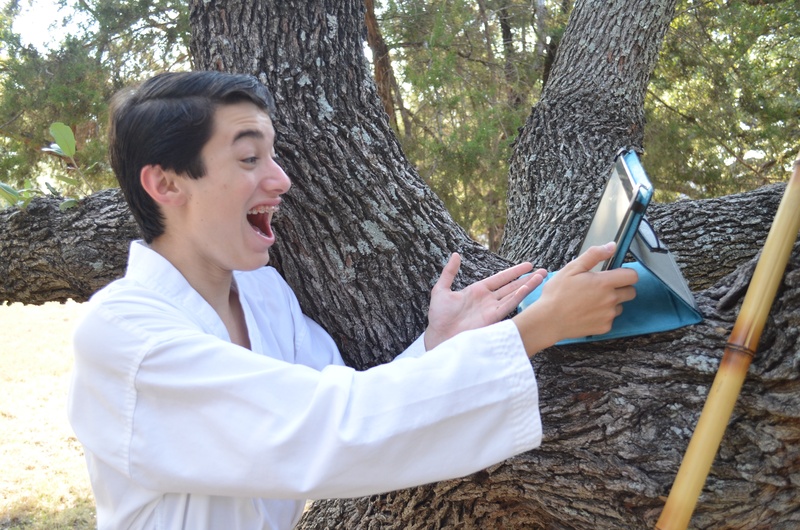 Commander Ben and a native Texas Live Oak have a watch party for today’s episode of Central Texas Gardener. You can also learn more about my Invasive Hunter Academy.